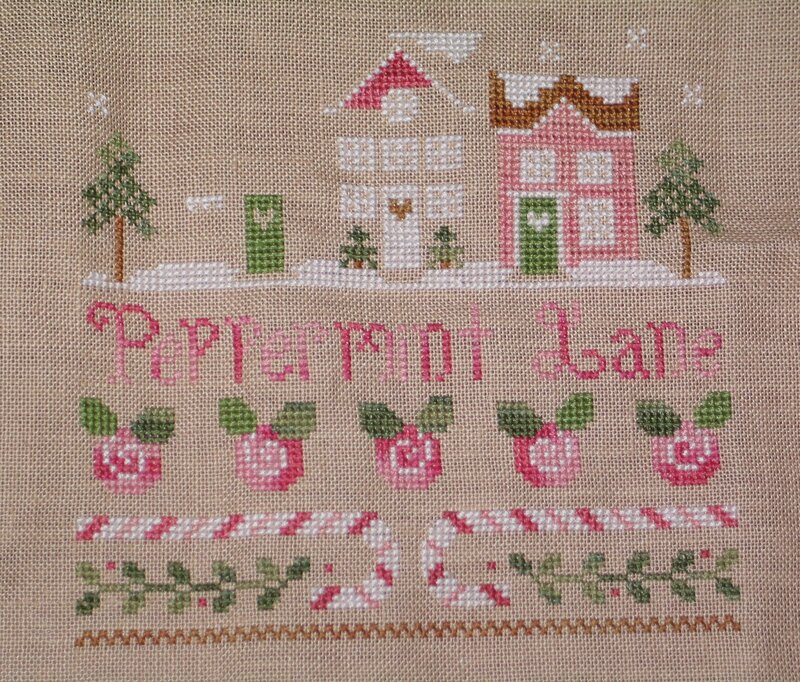 Just a quick post to show my progress on Peppermint Lane. 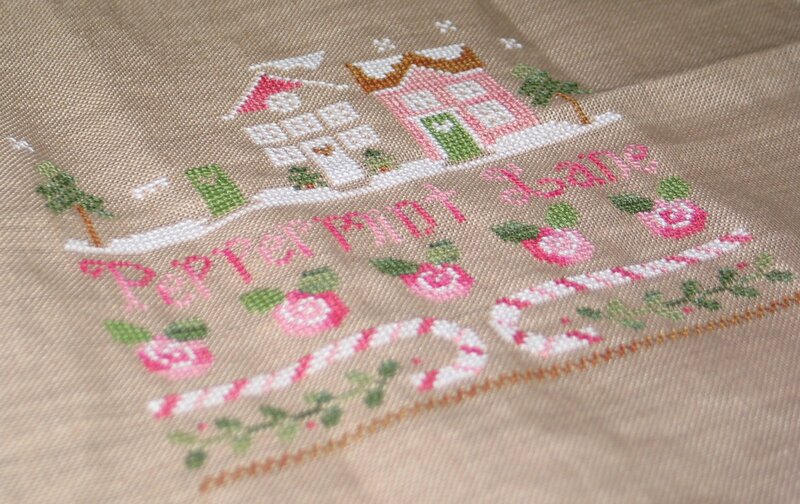 I had a decent amount of stitching time today, so I was able to get quite a bit done (as compared to other days! ).